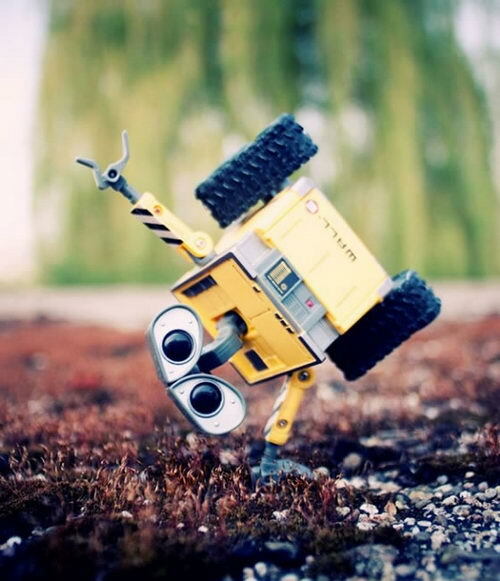 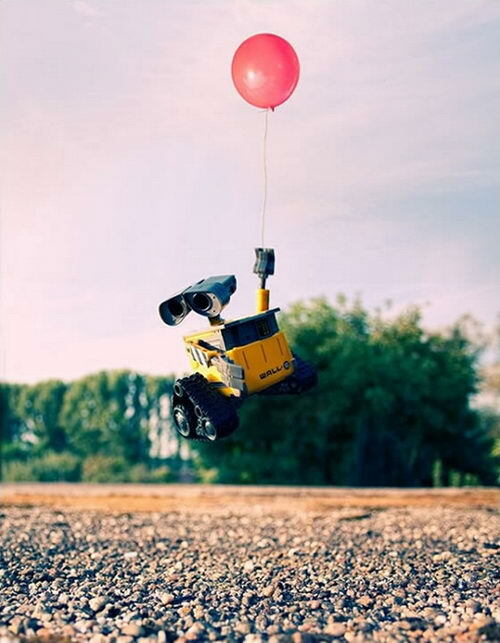 I like Wall-E Since my first sight of his eye and unreasonable sadness of him. 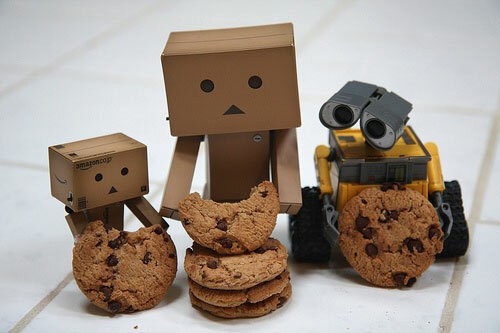 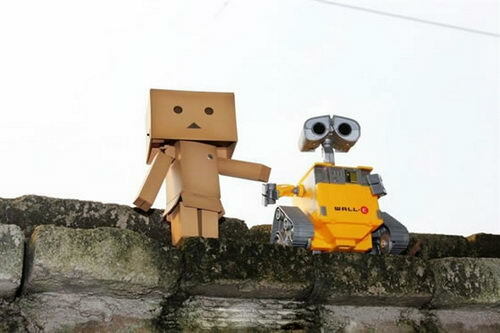 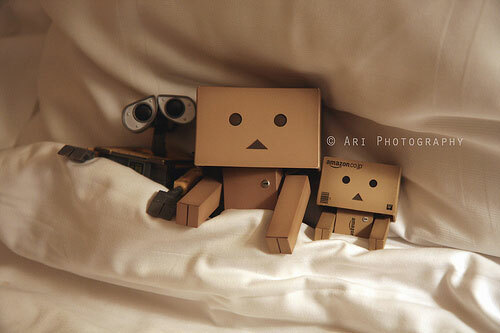 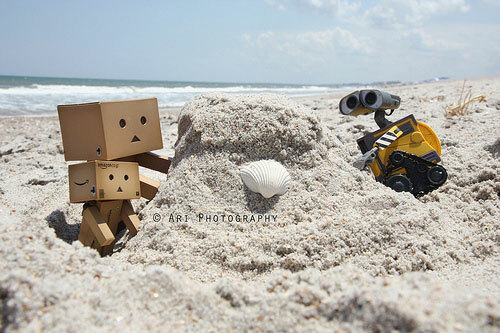 For the same reason, I like Danboard ,a cardboard box robot. 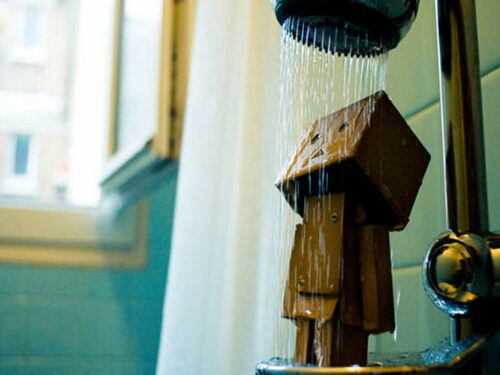 It’s as low-tech as one can possibly get I think. 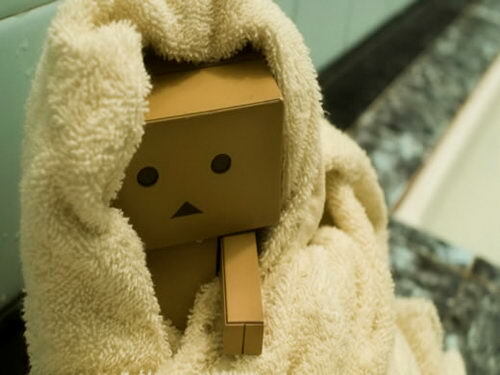 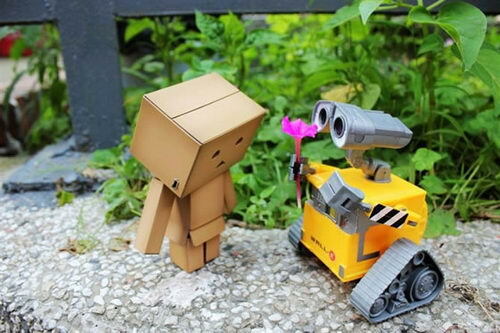 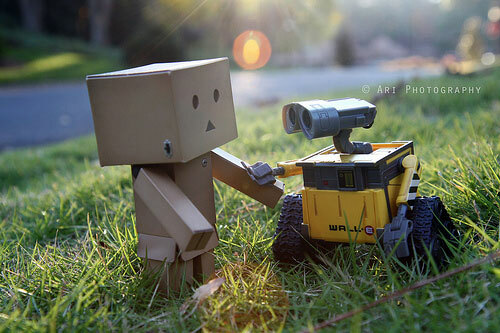 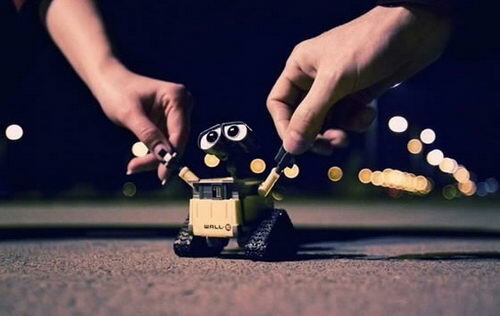 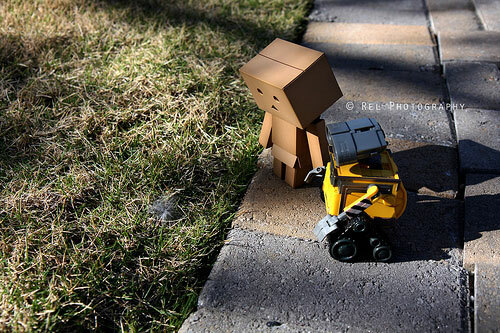 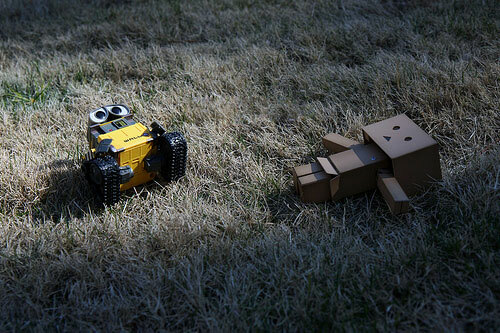 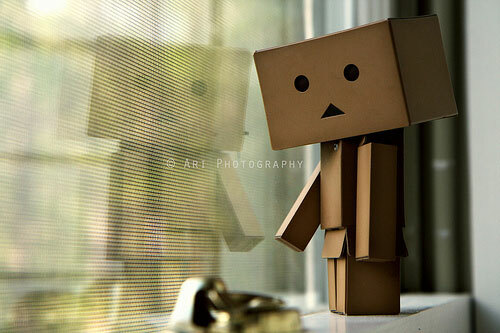 In fact, its not actually a robot at all…Danboard always has the same sadness, helpless and innocence. 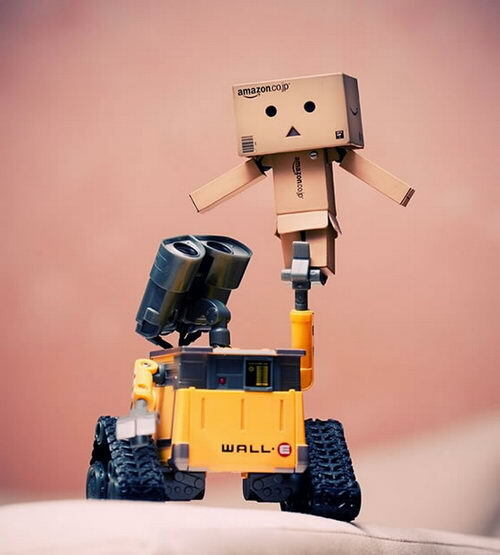 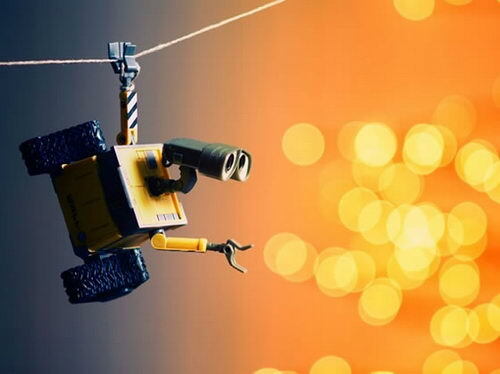 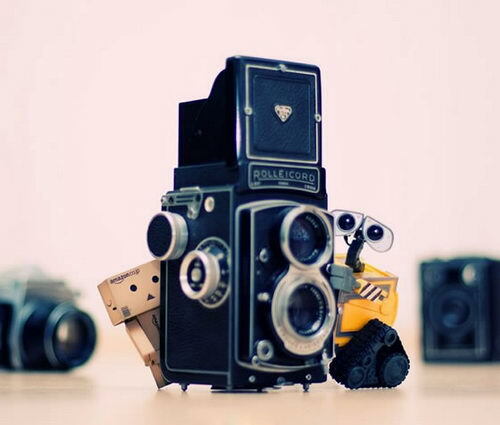 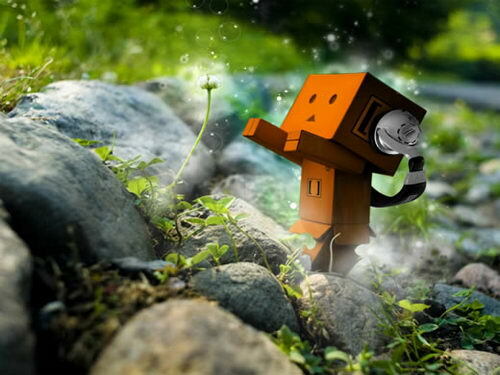 I keep collecting everything about those two cute animation character, wallpaper, toy… and I am so happy I can find below Series created by Bunnyrel who let wall-E meet Danboard.